Place Bell will play host to the NCAA vs U Sports matchup. Photo Brian Lapuz. The Duke Canada tour came to fruition as a result of how the institution felt about Canadian basketball in general. The University of Duke Blue Devils head coach, legend and Naismith hall-of-famer Mike Krzyzewski stated that he and his coaching staff felt that Canadian basketball was exceptionally strong. He felt that it was a good idea to play in Canada as it represented an opportunity for his players to work together before the season commences. “We’re very excited about going to Canada. We haven’t had a foreign tour in a while,” said Duke’s coach. 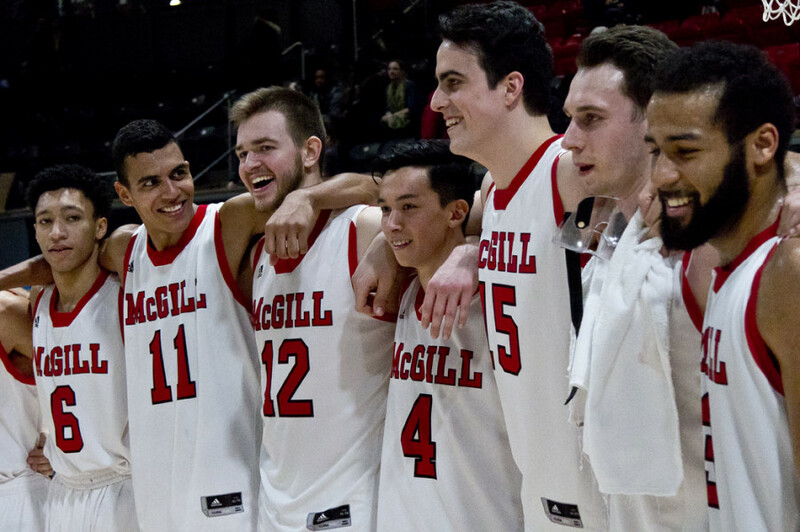 On the other hand, McGill, the reigning Réseau du sport étudiant du Québec champions, will be having a full week of practice ahead of this game. Having previously faced some notable teams such as the Syracuse Orange in 2013, McGill coach David DeAveiro is comfortable with the game but will still be trying different things to get his squad ready. Part of his team’s rundown will consist of watching the upcoming two games that The Blue Devils will be playing against the Ryerson Rams and the University of Toronto Varsity Blues before the team’s final stop in Montreal. This will allow the roster to get familiar with some of Duke’s rotations and style of play. “Those are the games that we’re gonna get and that are gonna help us,” said DeAveiro. The five-time NCAA Champion Blue Devils have been recognized as being position-less when it comes to their style of play and they will continue playing similarly during Canada tour. “We’ve just tried to recruit basketball players and put the five best players on the court,” said coach Krzyzewski. Freshmen Tre Jones and Cam Reddish will not be part of the tour’s prevailing roster due to recent injuries. Krzyzewski mentioned that the duo was still involved in basketball-related activities with their teammates during this tour. They will just not be in action during the three-game exhibition next week. The team has been persistently engaging in building a solid atmosphere. Krzyzewski stated that the team’s dynamics have tweaked and that now some of his best players are actual freshmen. Duke’s freshman, Ontario native and 18-year-old R.J Barrett will be coming back home to play in front of his family and friends for the game. He will also be expected to be one of the best ball-handlers of this roster. “You will see him with the ball a lot, he’s the best ball handler amongst the guys that will be playing during this tour,” stated coach Krzyzewski. Barrett is eager to not just be able to play at home but to also be able to play with the rest of his teammates. “It’s very good to play with them. We all just make the right play and make the right pass. That’s just how we play, so it’s very easy to play with them,” added the Canada Basketball Ambassador. The pressure on McGill will be heavy as they will be faced with an important challenge to avoid upsetting the Quebec fanbase during this game. With the departure of most of the team’s core due to players graduating, the team’s point guard and third-year Alex Paquin feels like this game will prepare him and his teammates, many of which are freshmen, for the regular season and also evaluate what it takes to play at the level that Duke is at. What’s assertive is that McGill’s head coach Deaveiro will be putting some of the new guys to the test during this game. “We want to depend on some kids to play, some of the new guys will probably be playing the Duke game,” he stated. Paquin feels confident about this game, “I’ve been waiting for next weekend all summer,” he says. The Quebec native has been following Duke and other major programs closely. McGill is very conscious that they’re going through a rebuilding phase but they remain unafraid and convinced that this game will groom them for the Usports regular season starting early in November.